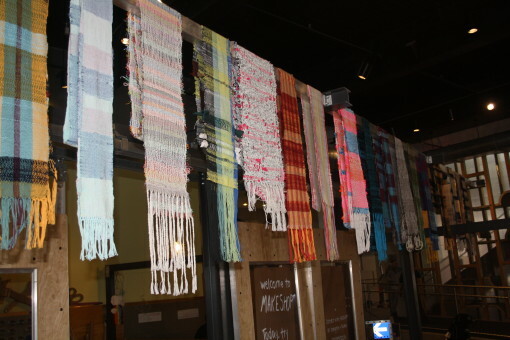 We use it to make scarves, mostly, which hang we hang up for display and inspiration. The weaving pulls in many visitors because it takes about three weeks for a full eight- or nine-foot-long scarf to be completed. 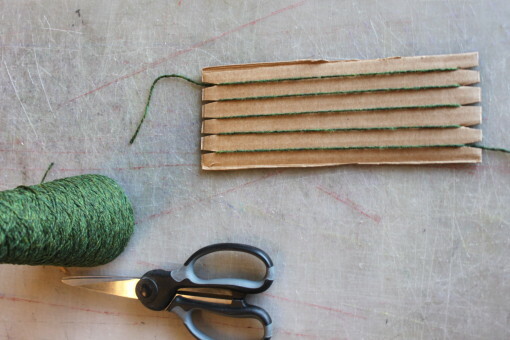 This time scale sets it apart from other MAKESHOP activities; there’s no chance to take the work home but everyone learns some skills and evocative vocabulary like “weft” and “treadle” and “monk’s belt”. 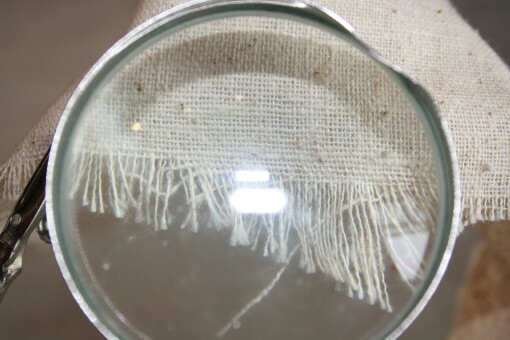 Most importantly, you can learn that fabric, which seems so solid, is made up of string! If you pick the strings and attach them together by weaving, you can make your own fabric! Weaving, which is really making fabric by lacing strands together, requires holding some strings in tension (these are long string, called warp) and weaving other strands (called weft) back and forth through the warp, alternating going over and under each strand. The fun of cardboard looms is that they can be any size you want. Want a wide piece? A long one? Cut your cardboard to that size. 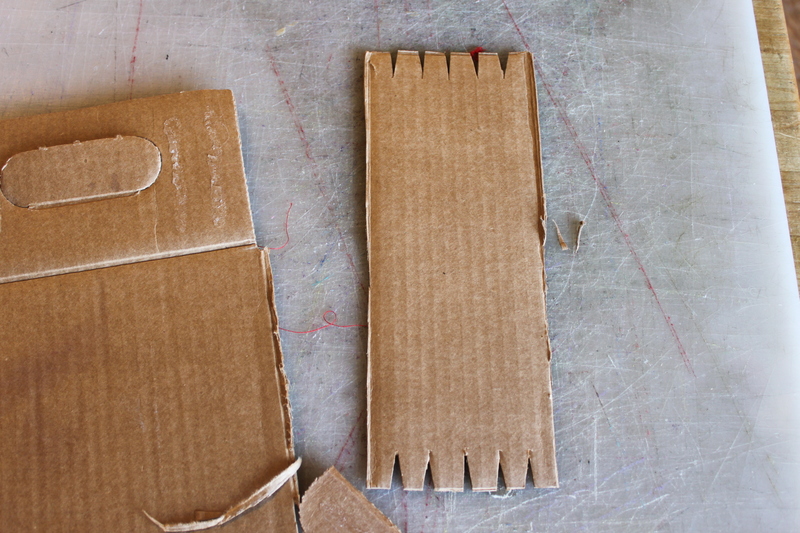 Cutting slits or notches in a piece of cardboard keeps the warp in place. 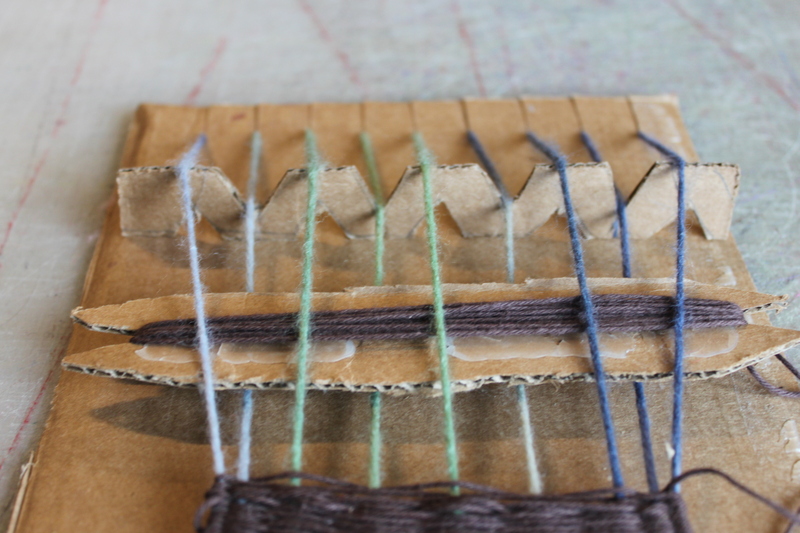 I loaded the weft yarn onto a needle to make it easier to weave. But at the end of each row, you have to pull the string allllllll the way through, which can be cumbersome. 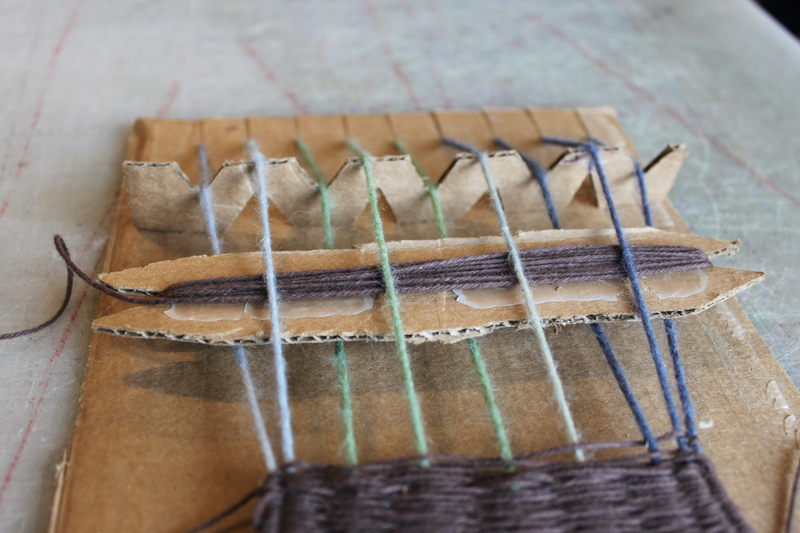 So taking a cue from the floor and table looms, I made a shuttle to hold lots of extra weft. 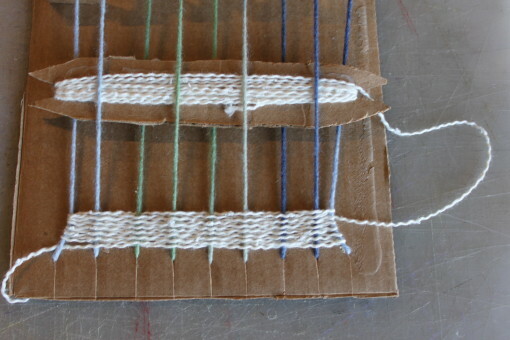 This still requires the old ‘over-under-over-under’ of weaving with a needle. 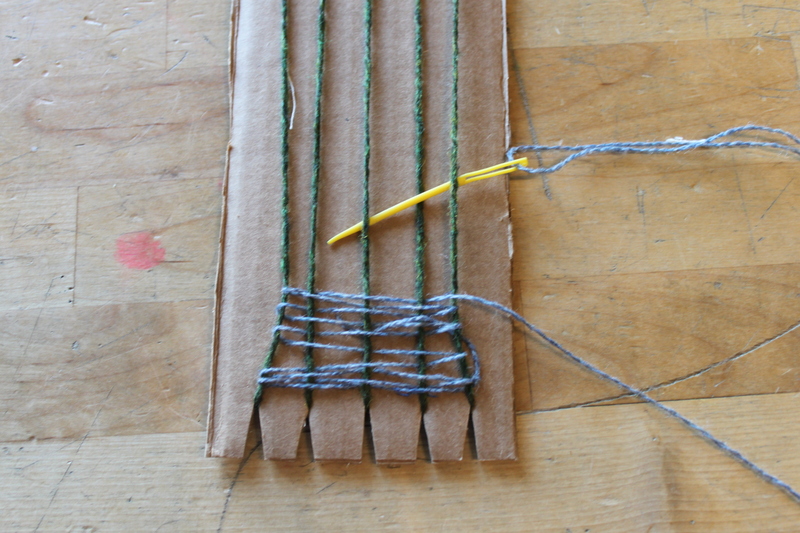 Not bad, but I thought I could take another idea from the looms and made a small piece that works like a reed. 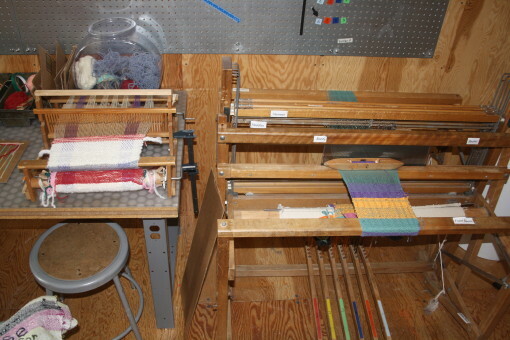 When it’s turned one way, the odd (1st, 3rd, 5th…) warp threads are up and the evens are down. When you turn it over, the odd threads fall into the divot and the even (2nd, 4th, 6th…) threads are raised up. That way, the shuttle can just pass through a la the larger looms we use. What weaving have you done? How about braiding? 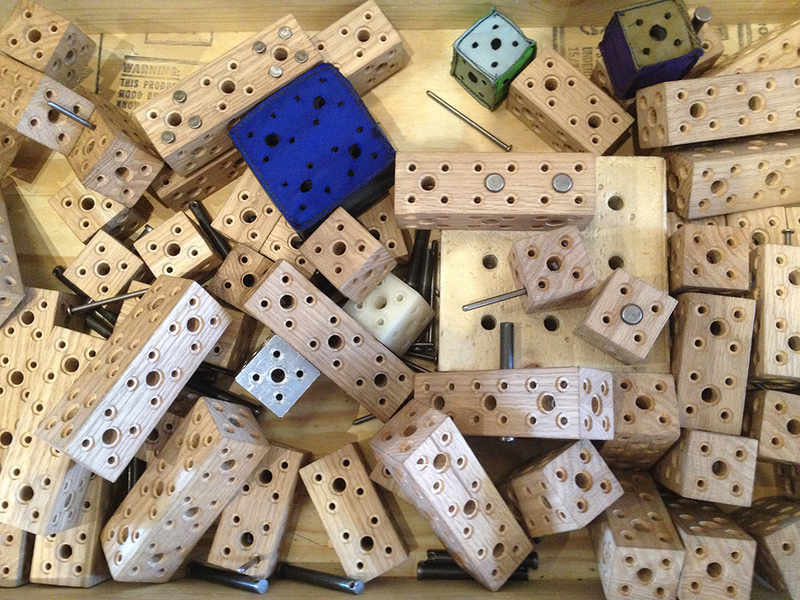 Leave a comment here or post a picture tagged #MAKESHOPPGH on Instagram or Twitter so we can check out your work!